Curious about 3-D printers? Want to learn how to use one? 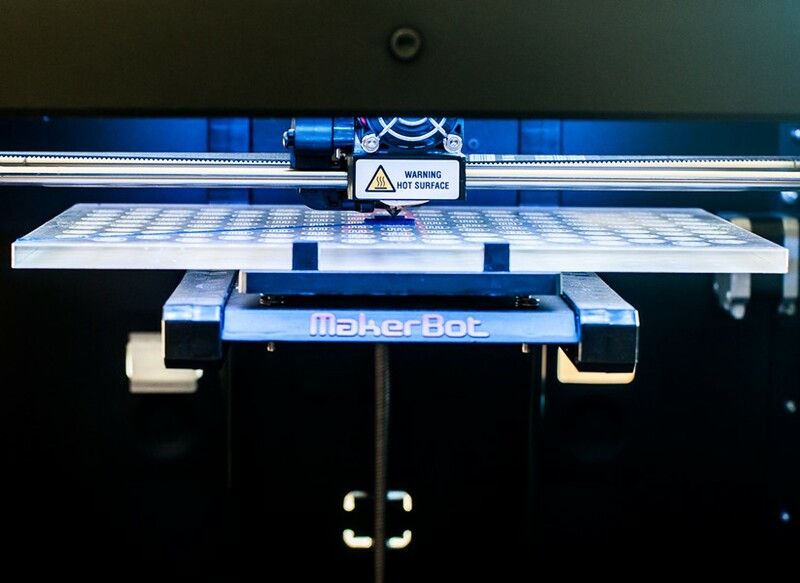 Then drop by one of Burlington's 3-D Printing and Modeling meet-ups. The informal gatherings have been happening monthly since March; the most recent one took place last Wednesday at Logic Supply in South Burlington. Software developer and maker Jon Bondy organized the group; about 20 of his fellow 3-D printing hobbyists showed up on Wednesday to hear him explain how to use the design program SketchUp. IBM software engineer Alex Clay was one of them. Clay pointed out that 3-D printers aren't exactly new. “They’ve been around for a long time," he said. "It’s just now gotten cheap enough to have at home." Clay owns a MakerBot Replicator 2, which he brought to the meet-up (pictured). It costs about $2400; Bondy has a Solidoodle, which retails for about $800. Why did Clay buy a 3-D printer? "Because it was cool," he said.